If I had to choose one lasting image from my trip to Alaska, it would be the Exit Glacier in Kenai Fjords National Park. I have never had any doubt about climate change, but viewing this glacier somehow made me see the issue in a new way, as if I had not fully grasped the situation our world faces. I recently watched “Chasing Ice,” a documentary created by photographer James Balog, who uses time lapse images of glaciers to tell the story of climate change. It is a spectacular yet jarring film that shows how drastically glaciers are melting around the world, including sequences from Alaska. To see a disappearing glacier before my eyes was an unforgettable experience. I initially was excited to discover that we would be visiting the glacier, but during our hike up to Exit Glacier, I felt anxious about what we would find. Yes, the glacier was extraordinary. But because of its noticeably shrinking size, I immediately felt saddened by the sight before me. I admired the shades of blue on the ice but then observed that it was losing its pristine white color and instead acquiring a grayish tint from the rocks surrounding it. I saw the deep cracks throughout the glacier and a stream of water flowing down the ice mass. 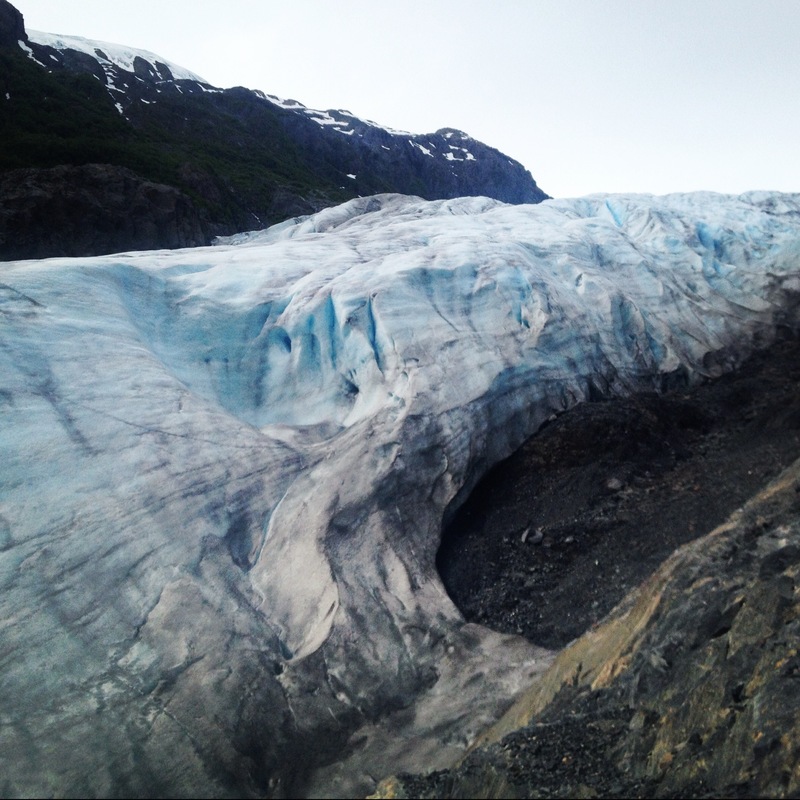 A few weeks ago, Kenai Fjords National Park posted a picture on its Facebook page that illustrates the progression of the Exit Glacier’s ice melt. The changes are staggering. If I return to Alaska someday and visit Exit Glacier, what will it look like? It’s a startling question to think about. Depending on how far into the future it may be, the glacier could look strikingly different. It all depends on how quickly we act because we are running out of time. I see progress being made, but there is still so much more we need to do to curb the affects of climate change. I still have hope that our world leaders will be brave enough to take these necessary and urgent steps before it is too late. As we put together our own documentary, a goal for the film is to tell the personal side of the issue and how it is truly affecting people in Bethel. Like “Chasing Ice,” I hope that our project will in some way make an impact on the community and shine a light on climate change to those who may not have seen it.